Happy Rapacia: The Second Circle of Heck Comes Out in Paperback Today Day (from this point on to be referred to as RSCHCOPT Day)! 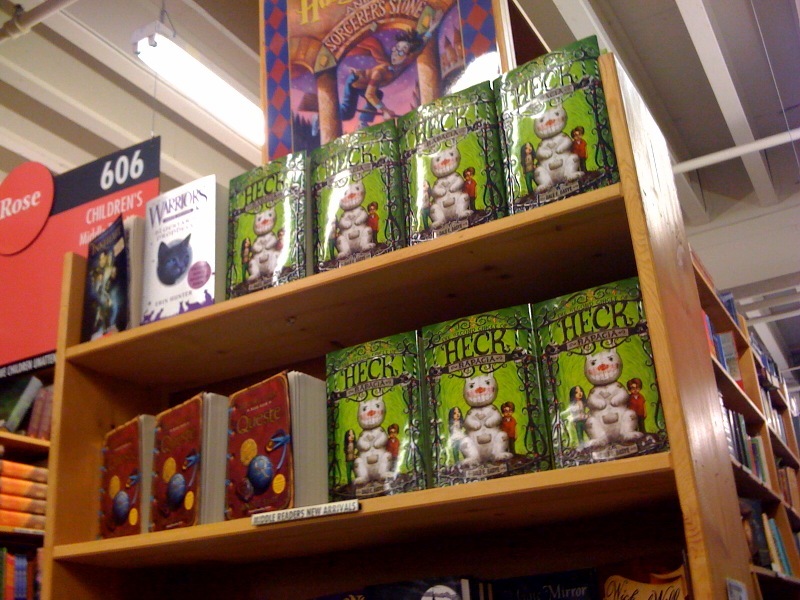 To celebrate this momentous occasion, I am giving away three autographed sets of Heck: Where the Bad Kids Go and Rapacia: The Second Circle of Heck to the first three people who send me a really cool photograph of them making an impassioned case to their local bookseller to carry more copies of Heck or Rapacia; holding copies of Heck or Rapacia with the largest group of people they can; or simply doing something really weird with my books (tasteful, please!). You have a week! Please send your submissions to heck@wherethebadkidsgo.com. And, if you buy a copy of Rapacia, please save your receipt. It will make you eligible for next month’s contest! Posted in Fun Questions from the Author!, Fun with Heck, Interviews with the Author!, Lucky, Marlo, Milton, Oh Heck! Words from the Author.